If you want to be able to see raindrops on roses and whiskers on kittens with clearer vision, then you may want to consider the raindrop inlay procedure from Dr. David Aizuss. As one of the most common vision problems that patients over the age of 50 experience, presbyopia causes your lenses to lose elasticity which makes it more difficult to see things close up. Luckily, with the help of raindrop inlays, Dr. David Aizuss can correct your vision in virtually no time. Sound too good to be true? Read on to learn more. What Is the Raindrop Inlay? The Raindrop Inlay is a thin, microscopic, transparent disc that will be surgically implanted below the surface of the eye. Made up of nearly 80% water, the Raindrop Inlay works to reshape the cornea which improves your eye’s natural ability to focus on objects up close. And, because it is made primarily of water, it will be easier for your eyes to adjust to the implant. If you are sick and tired of always having to take your reading glasses on and off and on and off— losing them in process half the time— then Raindrop Inlays may be the right procedure for you. By eliminating your need to wear reading glasses, you can expect to be able to see images up close without any assistance. Let’s just say that Raindrop Inlays will bring a whole new meaning to what it’s like to see clearly and without hindrance. One of the best things about Raindrop Inlays is that the procedure is fast and easy. Lasting about 10 minutes per eye on average, you shouldn’t have to miss any work to get this surgery done. By making a small corneal incision on your eyes, Dr. David Aizuss will then place the implant just below the surface of the eye. Once it has been placed, your eye will naturally heal around it— meaning that there’s no need for stitches. To learn more about Raindrop Inlays or to schedule an appointment with Dr. David Aizuss, contact our office today! Ah, springtime. Sun shining, birds chirping, flowers blooming. It’s a time of rebirth and renewal. Or not renewal, if you’re still ordering more and more pairs of the same contact prescription you’ve had forever. With the new season come new attempts by Mother Nature to slowly wear your patience and sanity. Here are three reasons spring is basically the worst if you have contact lenses. Some people are lucky enough to not be affected by allergies and we’re soooooo happy for them. For the rest of us, April showers bring May flowers bring itchy, watery eyes that are made worse by contacts. All the tearing and the rubbing can cause them to fall out or get lost in my eye. Be productive they said. Get your life together they said. Clean your apartment they said. But no one said anything about dust clouds getting in your eyes and nose and causing irritation and watering and sneezing when you try to tackle spring cleaning. Nothing like losing a contact because you rubbed your eye and having to find it on a dusty floor. Gesundheit! As soon as the weather gets better, everyone all of a sudden wants to do everything outside. Whether it’s a multi-day music festival or taking a weekend camping trip, you’ll be staying home because dealing with contacts and multi-day events and limited access to bathrooms with mirrors and the whole thing is just. too. much. Have you had it up to just about here with your contacts? Ditch ‘em! Learn more about the LASIK vision solution at www.backinfocus.com and get out there and take in the sights and sounds of spring. Doesn’t matter if it’s just a local amateur rec league or the pros, when you’re standing behind home plate, crouched at the line of scrimmage or leaping for the tip off, you want to feel like you’re a top athlete. Your pair of glasses, in contrast, can’t get their head in the game. The sportsman in all of us stands at odds with the annoying piece of plastic resting on the bridge of your nose. 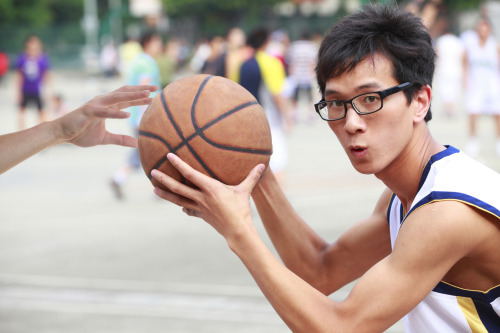 Here are five ways your glasses are curbing your athletic aspirations. It’s tempting to go ¯\_(ツ)_/¯ and play without them for the duration of the game, but that is unwise. You run the risk of a headache or, you know, not being able to see where you’re going. Sometimes that means risking sports-related injury. 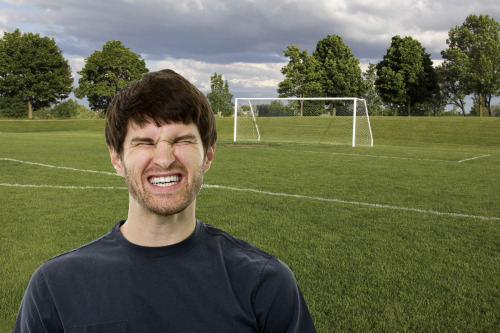 Other, more embarrassing times that means accidentally scoring in the opposing team’s goal. One of the biggest flaws of prescription glasses is that they limit your peripheral vision around the frame. In class or in the office, this is a minor inconvenience. Who cares if the person sitting next to you is on the phone or picking their nose? Same diff. In sports, however, peripheral vision is everything. Like when you’re sweating and you’re also running or sliding or dodging or dribbling or tackling or — you get the idea. When they fall off, there are all those other players and all those moving feet so excited to destroy them. But it’s even worse if they break while they’re still on because that means you got hit in the face. 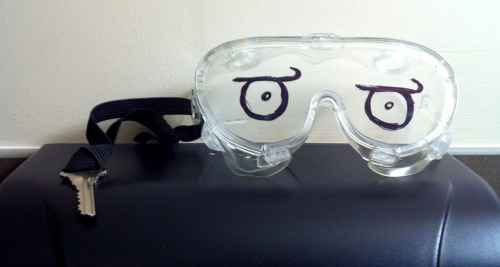 Glasses are a hassle on the playing field, but they’re also just a hassle in everyday life. They smudge and scratch and leave red marks on the bridge of your nose if you wear them all day. If you haven’t given it thought in a while, maybe it’s time to reconsider LASIK. Ok, it’s not like we’re talking about face steroids here, but to be on your best game you need to be able to see well and seeing well without the hassle of glasses or contacts is…well, nice. 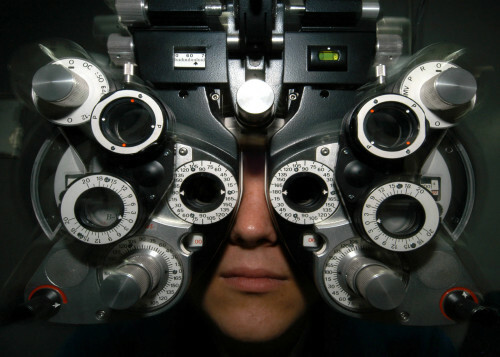 You can get more information at www.backinfocus.com, or have a consultation with a LASIK doctor. Most do LASIK consults for free, and you can find one near you here. Whether you are sick and tired of wearing contacts day in and day out or if you would like to take a permanent hiatus from your glasses, you may want to consider Lasik eye surgery from Dr. David Aizuss. By reshaping your corneal tissue, Lasik can restore your eyesight to near perfection. Before you take the plunge and get Lasik, however, it’s important that you know how to prepare. Use the tips listed below. Smoking is bad for nearly every aspect of your health; including your vision. Before you undergo surgery, you need to quit smoking for at least two weeks beforehand. Smoking slows down your body’s ability to heal itself after surgery— leaving you more prone to infection. We encourage all of our Lasik patients to stop wearing contact lenses for about two weeks before surgery— this helps your cornea stabilize itself which makes Lasik more efficient. Even though you may hate wearing glasses in public, it will be beneficial in the long-term. You will not be able to drive right after you have Lasik. So, make sure that you schedule a ride home afterward. If you are unable to find a ride, contact our office beforehand, and we can try to make arrangements for you. Even if you hate being caught outside for two seconds without makeup, don’t wear any makeup to your Lasik appointment because it will only interfere with the procedure. Preparing for Lasik is fairly easy. Just make sure you quit smoking and stop wearing contacts two weeks before surgery, that you schedule a ride home, and that you don’t wear makeup to your appointment. To learn more about Lasik or to schedule a consultation, contact Dr. David Aizuss today! Before I Get LASIK: What Is a Laser? Most of us know about lasers from television. They’re the things that soldiers of the future shoot at robots. Or they’re the things that future scientists use to blast apart the future asteroid that is about crash into the Future Earth. But real lasers are very much a part of modern, non-future life. And the highly sophisticated lasers involved in LASIK, while useless against marauding robots, can be used to help correct bad vision. To understand how LASIK lasers work, you first have to understand lasers in general. Lasers are a form of light that appear nowhere in nature, meaning that all lasers are necessarily created by human technology. The light you’re used to seeing (like the sun, etc.) is called “natural light.” Natural light is made up of many different wavelengths, each of which we see as a different color. Lasers, on the other hand, are monochromatic, meaning they consist of a single color (or wavelength). As is implied by the name, wavelengths are literally shaped like waves. In natural light, the high points and low points of these waves don’t match up. In fact, they’re kind of all over the place. In laser light, all of the wavelengths move together. The high and low points of the waves line up perfectly, forming something scientists call “coherent” light. Natural light also tends to move in many different directions, which is why when you turn on a flashlight, you get a wide shaft of light instead of a single concentrated beam. Laser light is “collimated,” meaning it travels in one direction and can be concentrated on a single point in space. The fact that laser light is monochromatic, coherent and collimated means that you can concentrate a tremendous amount of energy into a single beam of incredible power. This beam is useful for cutting through things, certainly, but in the last few decades, scientists have begun putting lasers to use in other remarkable ways – like LASIK. How do you make a laser? #DYK “laser” is an acronym? Well, it is: “light amplification by stimulated emission of radiation,” though that’s a bit of a mouthful. The key here is the latter part of the acronym: “stimulated emission of radiation.” Laser light is created by stimulating electrons, usually with an electric current. This stimulation causes the electrons to move into a higher-energy orbit around the nucleus of their particular atom. When the electrons stop being so ridiculously excited, they move back down to their original orbit and throw off photons, which is the basic particle of light. Using mirrors, these photons are bounced around, stimulating even more electrons and causing them to drop even more photons. The end result is the enormous number of photons creating a monochromatic (single color), coherent and collimated beam of powerful, concentrated light: a laser. The first medical application of a laser was a cardiovascular surgeon in 1962, who used one to remove plaque from the interior of a patient’s arteries. Today, lasers are used in many different kinds of medicine: cosmetic dermatology, mammography, cancer treatment, angioplasty – even liposuction. Two different kinds of lasers are used in most LASIK procedures. The first, called a femtosecond laser, is a device that is capable of producing an ultra-fast burst of energy. How ultra-fast? Each burst lasts about a 700 femtoseconds or 700 quadrillionths of a second. The femtosecond laser is used to create a thin, temporary opening in the surface of the eye so that doctors can get to the Cornea and go to work with the second laser, the excimer. The excimer laser is a cold beam of ultraviolet light that doctors use to remove tiny amounts of tissue in the cornea, reshaping it so that it can better focus the light into your retina, which may improve your vision. LASIK isn’t for everyone and you can get more safety information here. LASIK patients may also experience some side effects, like dry eye or visual disturbances like halos, glares, starbursts or double images. So what about the robot uprising? While the excimer and femtosecond lasers will be relatively useless during the upcoming robot uprising, human ingenuity has given us other lasers that are tremendously powerful. The U.S. Navy has one in service that can shoot down enemy missiles and drones, while Japanese researchers last year fired the most powerful laser in the history of the world. The latter consisted of a 2-petawatt pulse – or 2 trillion watts – discharged for about a trillionth of a second. To put that in perspective, 2 petawatts is about 1,000 times more power than the entire world consumes. Lasers are concentrated beams of light capable of improving human vision and putting down robot uprisings. If the robots have human-like eyes and exhibit good behavior while in captivity, we might be able to improve their vision, as well. (They’ll have to meet a few other criteria, which you can find here. If you’re considering LASIK, you can find more information at www.backinfocus.com. On August 21, 2017, the entire United State will see a partial eclipse of the sun. Parts of 11 states will experience a total eclipse. It is important to be very careful when watching a total eclipse to prevent inadvertent damage to your eyes. Looking directly at the sun during most parts of the eclipse can permanently damage your vision of blind you! However, there are methods available to view a solar eclipse safely. The area of the earth in the United States that will be in the path of the total eclipse is only 70 miles wide and will move across the United States relatively rapidly. Plan now where you want to be to observe the eclipse and be sure to have a back up plan in case bad weather for eclipse viewing is predicted. The only time it is safe to look directly at the sun is when it is completely covered by the moon during the totality phase of an eclipse. At all other times, you must protect your eyes or you could damage your retina possibly causing blindness. Areas outside of the path of the total eclipse will have a partial eclipse. Only part of the sun is blocked even at the peak of the eclipse. In those areas, there is NO SAFE TIME to look at the sun with the naked eye. You must protect your eyes while watching the entire eclipse. Don’t let these warnings frighten you as there are safe ways to watch the eclipse. There is only one safe way to look directly at the sun, whether during an eclipse or not: through special purpose solar filters. These solar filters are used in eclipse glasses or in hand held solar viewers. They must meet a very specific standard worldwide known as ISO 12312-2. 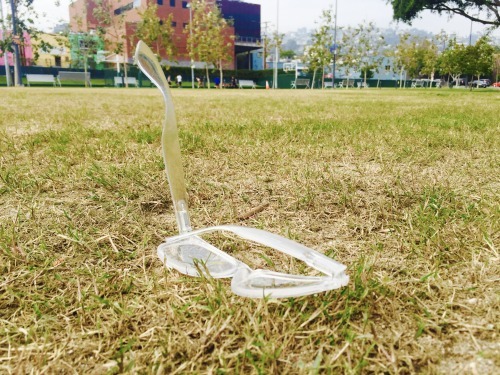 Keep in mind ordinary sunglasses, even very dark ones, or homemade filters are NOT SAFE for looking at the sun. Another way to watch the eclipse safely is to do so indirectly through a pinhole viewer or video display. A pinhole viewer lets you project an image of the sun onto another surface, like paper, a wall, or pavement. Also NASA will have a live stream of the eclipse that will be safe to watch. Consider watching online, at a local planetarium, science center or club where the appropriate safety measures have been taken. What Are the Different Types of LASIK? Not all LASIK procedures are created equal. There are a number of factors that determine what your LASIK procedure will involve and what that mean for your outcome. Knowing these factors is important because it helps you have an informed conversation with your doctor about what to expect. If you’re in group 2, we totally get it! LASIK can be intimidating. But at the bare minimum, you should feel comfortable talking to your doctor in as much detail as you like. 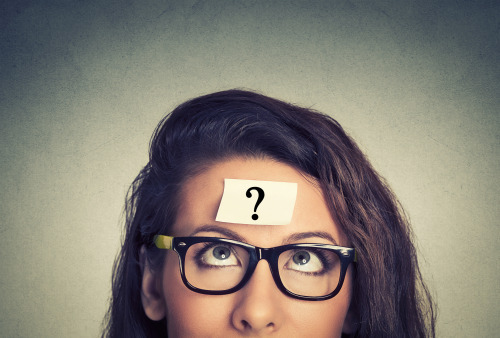 It is surgery after all, and here’s a simple primer on what questions you should ask your LASIK doctor that may be more appropriate to prep you for your LASIK consultation. Or if you’re just ready to talk to a doctor, you can find one near you here. Wait, there are blades involved in LASIK? I thought it was all lasers!! You’ll want to ask your doctor about a blade-free option because there are actual benefits to opting for the femtosecond laser. The laser is linked to fewer complications compared to the blade, and higher patient satisfaction. Before beginning your procedure, your doctor has to tell the LASIK machine how to correct your vision. Which means your doctor has to measure your vision. Your doctor can measure your vision using a phoropter, which is the same device he or she would use to prescribe you glasses or contacts. This gives an indication of your overall vision prescription based on one data point, and done correctly, should give you vision on par with the correction you’d get from wearing a pair of contacts or glasses. In contrast, your doctor may instead use the Wavefront method, which scans your eye for more than 1,200 data points. Who doesn’t want more data? This gives a more personalized measurement of your eye, which can lead to a more personalized LASIK procedure that may be up to 25 times more precise than what you would get from phoropter-based LASIK. The bottom line is different measurement systems come with different levels of information about your unique eyes and vision, and more info may lead to a more personalized, precise level of vision correction. If you’re interested in finding an iLASIK® System surgeon specifically, you can find one near you here. If you want to get into the finer points with your doctor, asking about your options is the best way to get started, and the above points are a great way to get the ball rolling. Also remember, LASIK is not for everyone. It’s not recommended if you have diabetes, a history of herpes simplex or herpes zoster keratitis, significant dry eye or serious allergies. There are also side effects associated with LASIK. While they are rare, they can include eye dryness, which may be severe, loss of visual acuity or the need for glasses or contacts after surgery, and visual disturbances like halos (hazy rings around lights), glare, starbursts, double images and other visual irregularities that may be debilitating. If you’d like to read some first-hand experiences of patients who’ve undergone LASIK, you can find some here, here and here. You can also get full safety information here, and these are also good points to bring up with your doctor about what you can expect to experience and anything you can do to manage side effects. Now that you know the right talking points, you just need a doctor to talk about them with. You can find a LASIK doctor near you here. Most do consultations for free, and are really good at talking through all the above and more. As the leading cause of vision loss, cataracts aren’t something to take lightly. Primarily prevalent in individuals over the age of 40, cataracts are typically caused when the eye starts to age— causing the lens of the eye to lose clarity. If you or a loved one think that you may have cataracts, you may consider searching to the internet or Google. You may find a variety of information there, some of which may be incorrect or misleading. To help you decipher between fact and fiction, we have created a brief guide that dispels three common myths surrounding cataracts. Read on to learn more. Unfortunately for all parties involved, the biggest myth about cataracts is that there is a cure. However, doctors are still on the lookout for a cure for this normal age related change. The good news is cataracts can easily be treated and they can be prevented from worsening. There are excellent surgical solutions for cataract that result in restoration of vision. Similar to cataracts being cured, there is a myth stating that cataracts can be reversed. Unfortunately, that is also false. Cataract formation cannot be reversed. Cataracts can be surgically removed and replaced with intraocular lens implants. In a perfect world, there would be some magical pill or eyedrop for anything— including dissolving cataracts. However, the FDA hasn’t yet approved an eyedrop to dissolve cataracts or get rid of them. So, if you meet someone who says they have eyedrops that can dissolve your cataracts, you know to run the other way. Weeding through the misinformation on the internet can feel like a full-time job. Luckily, by dispelling the three myths above, you can hopefully feel more informed about cataracts. To learn more about cataracts or how to treat them, contact Dr. David Aizuss today to schedule an appointment! When it comes to choosing glasses that fit your face, you want to make sure that you take your time and try on a wide variety of frames. Because glasses are your most worn accessory— besides maybe your wedding ring, of course— it’s important that they fit your face and make you feel like a million bucks. Whether you have a round face or a narrow face, this article will list what types of frames you should be looking for based on face shape. Read on to learn more. If you have a round-shaped face, the best style of frames for you to choose are rectangular ones. By breaking up the roundness in your face, rectangular shaped frames, help to make your face look both longer and thinner. Rather than choosing glasses that have harsh lines and angles, if you have a square shaped face, look for ones that will soften those sharp lines. We encourage our patients to choose frames that are either oval or round. An oval shaped face is one that is typically longer and not as wide, but that is still round. Similar to those with round shaped faces, an oval shaped one is balanced out by wearing lenses that are more square. When you have a heart shaped face, you want to balance your face out with your glasses by making your chin appear larger. To do this, try to look for frames that are wider than your actual face— this will help to add that extra bit of balance that you need. Choosing the right shape and style of glasses will make you not only look good but feel stylish while doing so. If you would like to learn more about what glasses you should choose to match your face shape, contact Dr. David Aizuss today and schedule an eye examination.